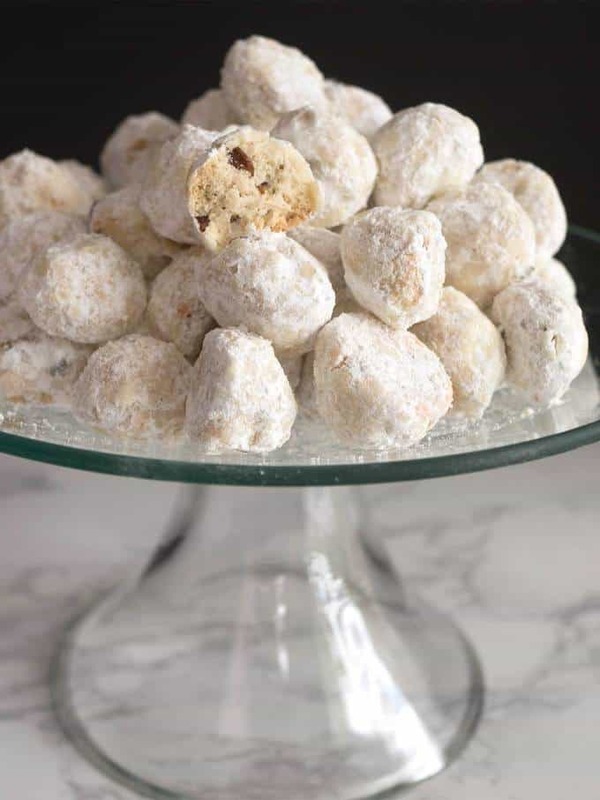 These are one of my favorite cookies, and the Master Taste Tester’s as well. I’ve been making these since I was a teenager, and have always rolled the cookies as tiny as I could manage. The reason was to produce a little taste of heaven as each one was popped into my mouth! 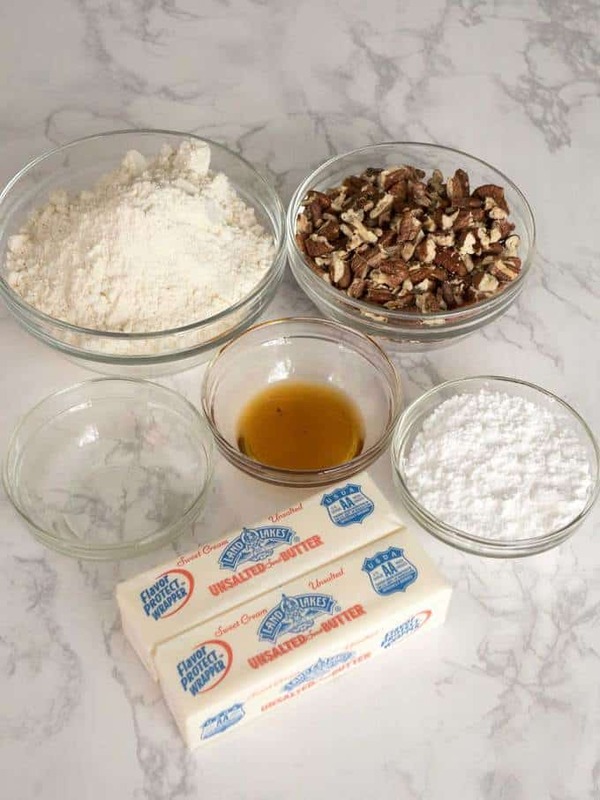 I used the following simple ingredients: Unsalted butter, confectioners’ sugar, water, vanilla extract, all-purpose flour, and toasted pecans. For the first step, I creamed room temperature unsalted butter with an electric mixer. Then, I added the confectioners’ sugar, and beat the mixture on high until it was light and fluffy. Next, I added the vanilla extract and water, and beat until well combined. Then, I added the flour and mixed on low speed until everything was well combined. At this point, I gave the dough a quick mix with a wooden spoon to ensure that all of the flour had been incorporated. 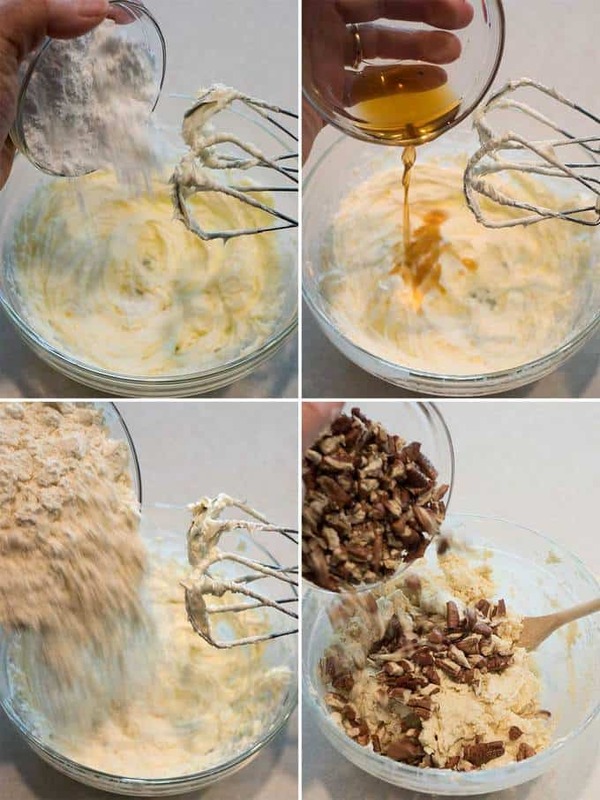 Finally, I added the toasted pecans and mixed well with a wooden spoon. I baked the cookies in a preheated 350° F oven for about 25 minutes until they were golden brown. 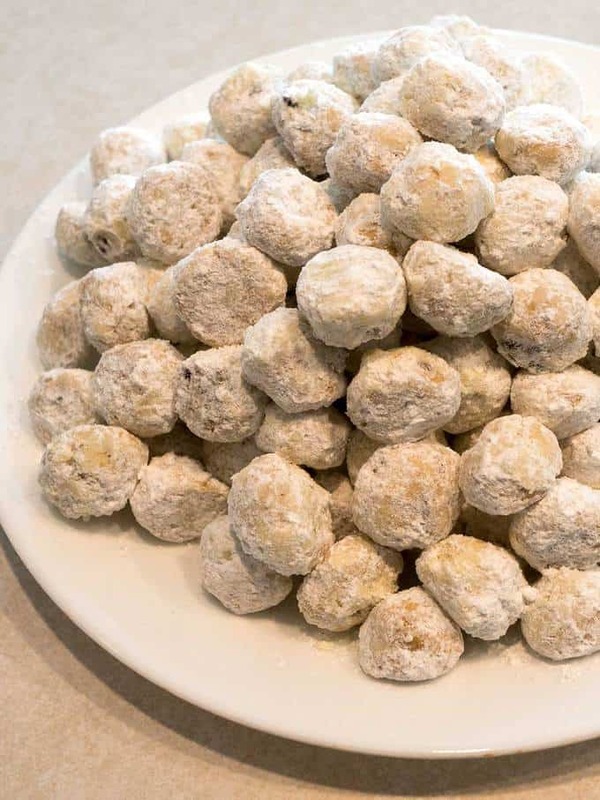 When I removed the cookies from the oven, I immediately transferred them to a 9×12-inch pan and covered them with confectioners’ sugar. 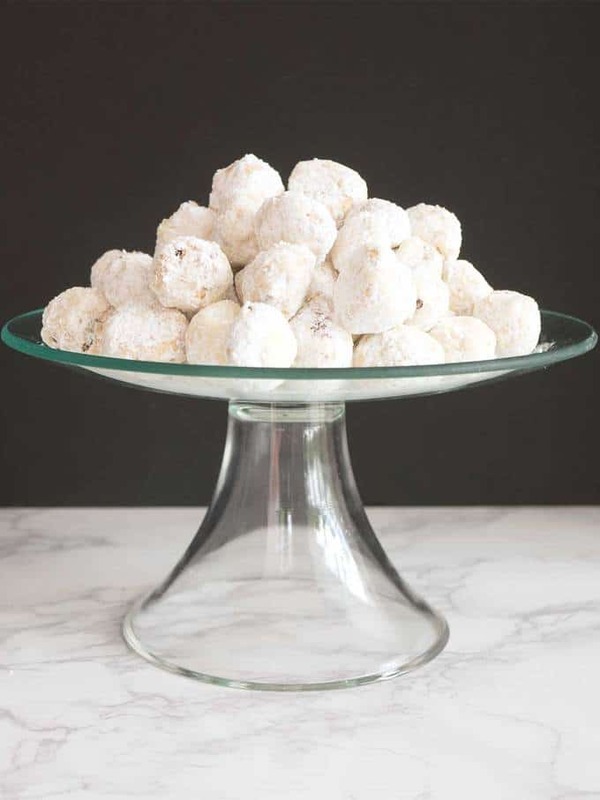 I tossed the cookies to coat, and transferred the coated balls to a plate. 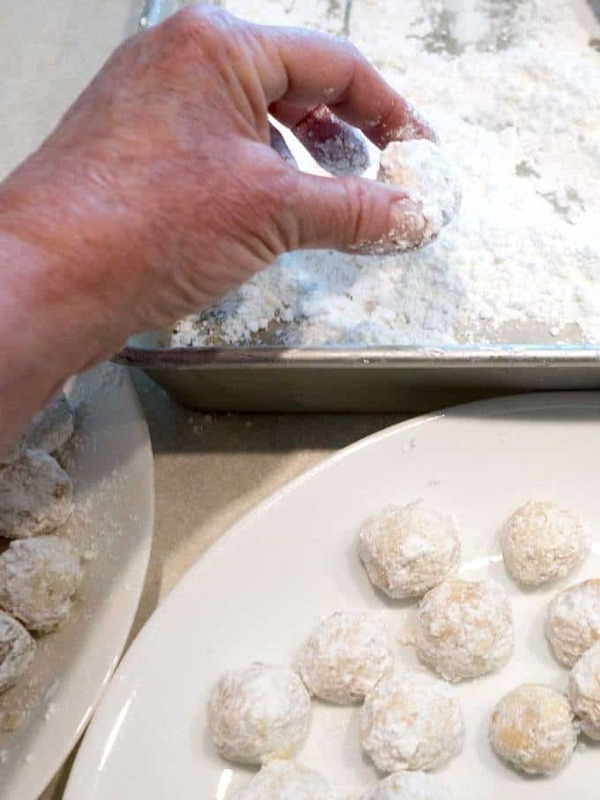 Once all of the cookies had been coated with confectioners’ sugar, I repeated the process. Because the cookies were hot during the first coating, the confectioners’ sugar melted just a bit. 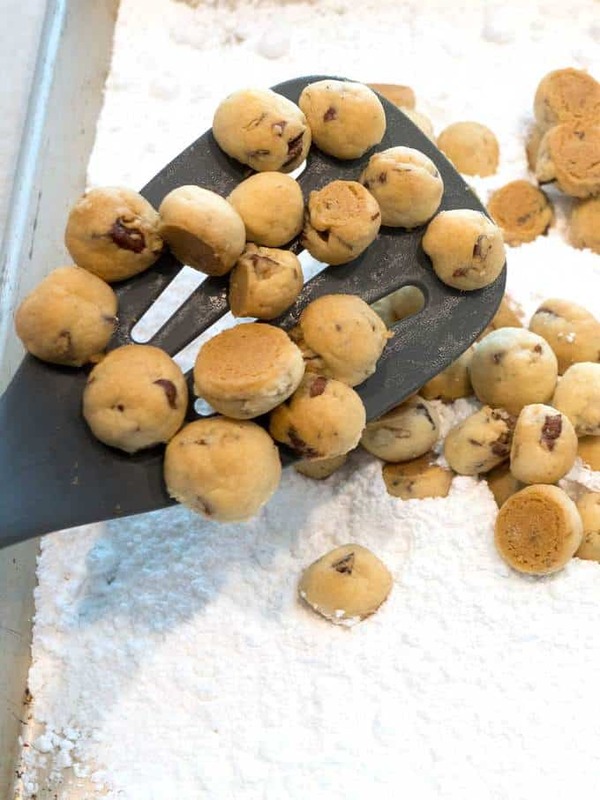 This allowed the confectioners’ sugar from the second coating to adhere very nicely to the cookies. I actually think that the cookies are better the next day, if that’s possible. 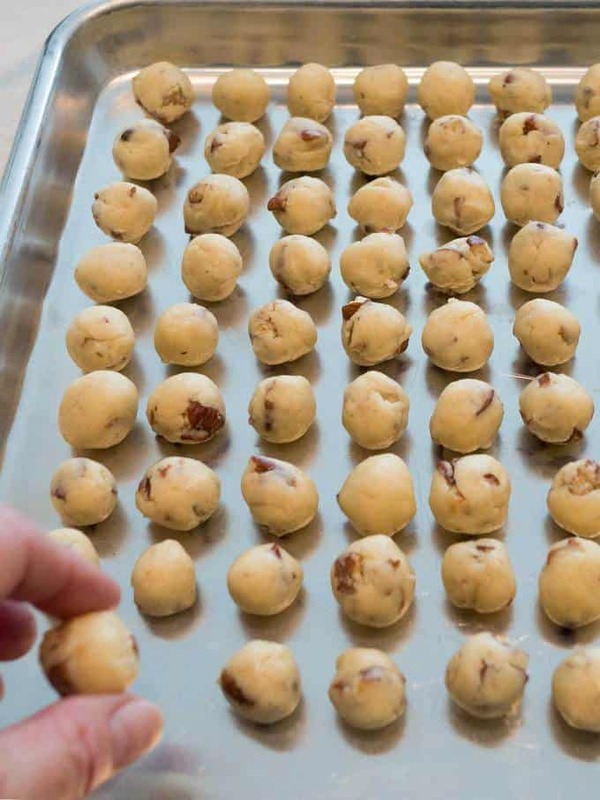 The Mexican Wedding Cookies stay fresh for a week when packaged in an airtight container. They’re an awesome ending to your Cinco de Mayo feast, and are the perfect size to pop into your mouth. Yum!